An affordable and versatile material, crushed stone is a popular choice for numerous types of commercial and residential projects. Although it has a wide variety of uses, one of its most common applications is in landscape design. Crushed stone can instantly transform any yard into a timeless work of art. Here are a few of the top ways to give your curb appeal a boost with this stone option. Crushed stone is an excellent choice for patio surfaces. It is durable enough to support the heavy weight of cast iron patio furniture, outdoor kitchen appliances, and barbecues. The stone will provide your patio with a rich texture, and it’s flexible for accommodating designs with irregular, organic shapes. 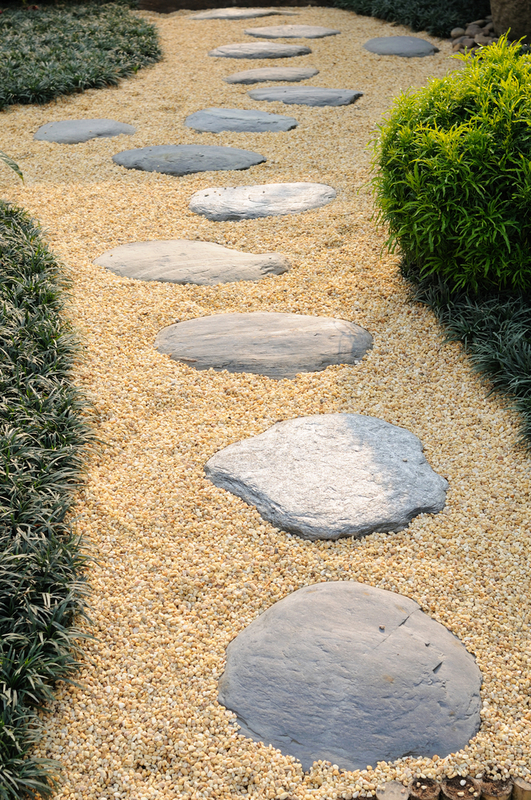 Some of the most charming paths and walkways are created using crushed stone. In addition to being aesthetically pleasing, the material is comfortable to walk on and provides good traction for wet weather. Crushed stone walkways will also maintain its integrity for years to come, as it won’t sink into subsoil or shift into grassy borders. Mulch nurtures the healthy growth of plants. While organic mulch is traditionally used in landscaping, it continually has to be replaced as it decomposes. Replacing the material with crushed stone is a much more cost-effective and attractive solution. The stone is also resistant to weed growth and has no problem allowing water to penetrate the soil. If you have a landscaping project that will benefit from the use of crushed stone, you can count on The L. Suzio York Hill Companies to supply the materials you need to turn your vision into reality. They have served residents throughout the south-central area of Connecticut for more than a century. When you order from them, you can be confident you’ll receive beautifully-made stone products. Call (203) 237-8421 to discuss the specifications of your landscape job, or visit their website to request a quote for your landscaping needs.